How to Identify Greener Products: Certification Eco-Labels, Standards, Ratings, etc. It’s not always easy to tell which products are green, how green they might be, or in what ways they are green. There are no standard, universal definitions for the terms “green,” “environmentally friendly,” or “natural.” However, the FTC has recently created more stringent guidelines to prohibit marketers from making fraudulent environmental claims about their products. Finding products that have achieved green certifications (from groups that have rigorous standards) can help you separate true green claims from “greenwashing.” So look for eco-labels from legitimate, independent, third-party certifiers (as opposed to industry- or self-administered programs); several third-party certifiers are listed below. Manufacturers that have had their environmental product claims independently assessed, verified, and certified by a third-party group can feature the corresponding eco-label on their certified products. 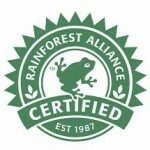 Be aware that some certifications only verify specific single-attribute claims (e.g., energy efficiency, organic status, recycled-content percentage, indoor air quality/emissions, or biodegradability), while others review multiple attributes related to a certain kind of product (e.g., forest products, paints, cleaning products, etc.). Green attributes can relate to the design, manufacturing, and/or operational (use) impacts of a product, or they can address the full lifecycle impacts of the product: from raw material extraction to end-of-life disposal/recycling/reuse. Bear in mind, though, that many small companies can’t afford to put their products through a costly certification process, so there are some very-green products that do not have green certification labels. Therefore, it can also be helpful to look carefully at product ingredients and read up on the company’s claims and any outside analysis of those claims. But first, you should have a basic understanding of product stewardship and the criteria and attributes that might make a certain product greener than others of its kind. 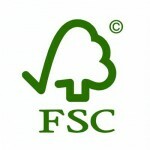 numerous types of certifications, including “Environmentally Preferable Product” lifecycle assessment; FSC; FloorScore; FairTrade; specific product claim certifications, e.g., recycled content, etc. For other ecolabels (in the U.S. and in other countries), see the Ecolabel Index. 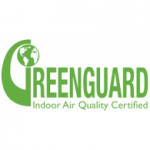 There are also green certifications for services. 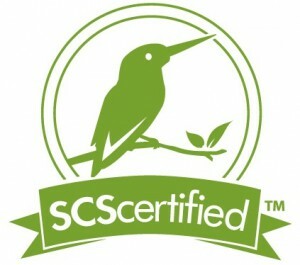 While this post is focused on products, rather than services, here’s one example of a green service certification: the Green Shield Certified certification for pest control companies that use good Integrated Pest Management practices (including avoiding use of the most toxic pesticide products). Thanks for the reminder. I’ve added a link to this program within the green business certification section near the end of the post. Thanks for the suggestion, Eric. I just added a Declare link to the Building Materials resource item. It allows manufacturers to clearly show if their product contains red list items or if it is compliant with the Living Building Challenge program.